The communication process is easy & direct! Step 2. Our tailors check it & see if they can make it, and what the material will be used, and give you professional suggestion if you’ve special request, then, give you the quotation (including free shipping). Step 3. If you are okay with it & want to buy it, just reply the ticket. Step 4. 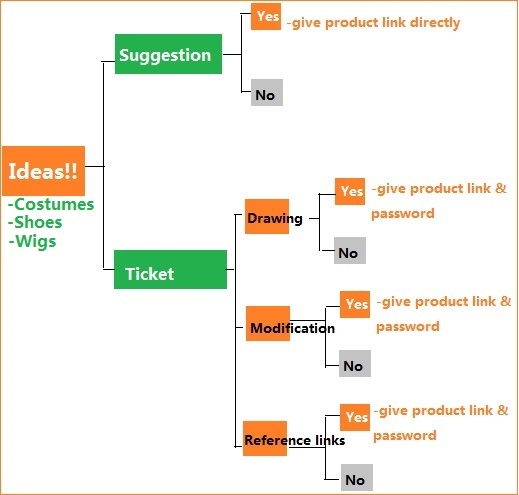 Then we will give you the private product link with password, so you can order it as normal. Step 5. Once we finished it, we will send you the actual product photos. Step 6. You check the actual product photo. **if you want to adjust something, just tell us all the requests, and our tailor will adjust them for you; and send you the actual product photos again after adjustment. **We can adjust the product for maximum 3 times. *This means you give us the drawing (showing costume’s front, back & both side), if you have request about the material or specific length or specific design or specific color, just mark them on the drawing, and our tailor will check & discuss with you about the design or material and give you the quotation & private product link with password, so you can buy it as normal orders. 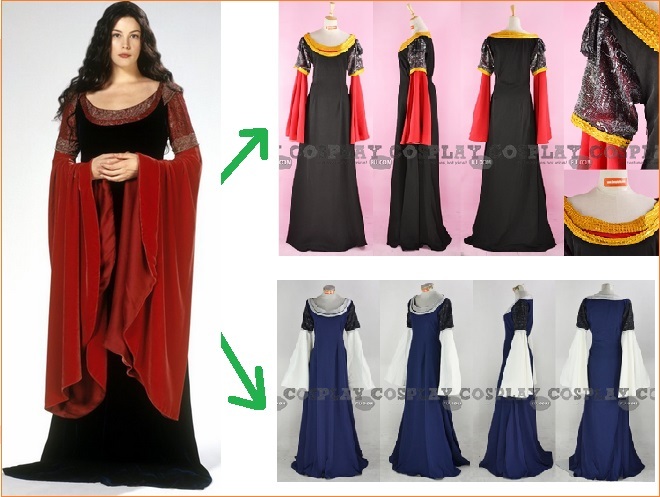 *This means you want to change the design or the color or the materials of our existing cosplay items, our tailors will check if they can change for you. [If you only want to change the length, it is not a custom modification request, just write remark when making order will be okay. :)] If our tailor can change for you, they will confirms the change in the ticket, and you just write down the ticket ID in Remarks when making order will be okay. 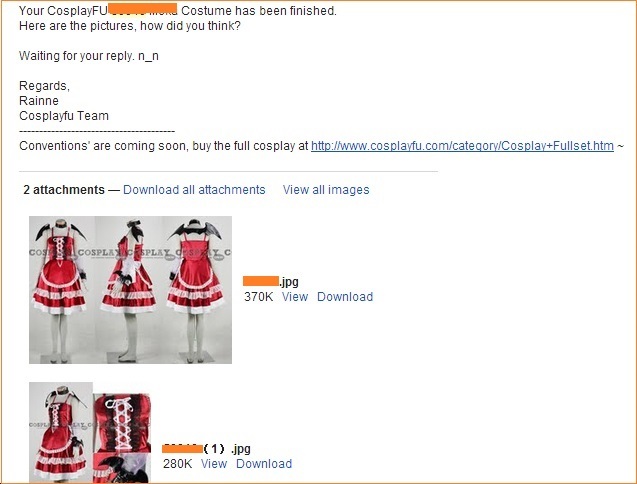 *This means the character & costume is existing already, but you cannot find it in our website yet. So, you only need to give us the character name + comic name / game name / movie name with the reference links or pictures, and our tailor will give you the quotation and send you the actual product photos after finished it. The process is just like type  Commission orders.